Stay comfortable and stable mile after mile in the Danner Mountain 600 . This women's mid-height hiker features a durable, waterproof suede upper and perforated, moisture-wicking collar that's easy on the ankle. The Danner Dry lining keeps moisture managed inside for a healthy interior. 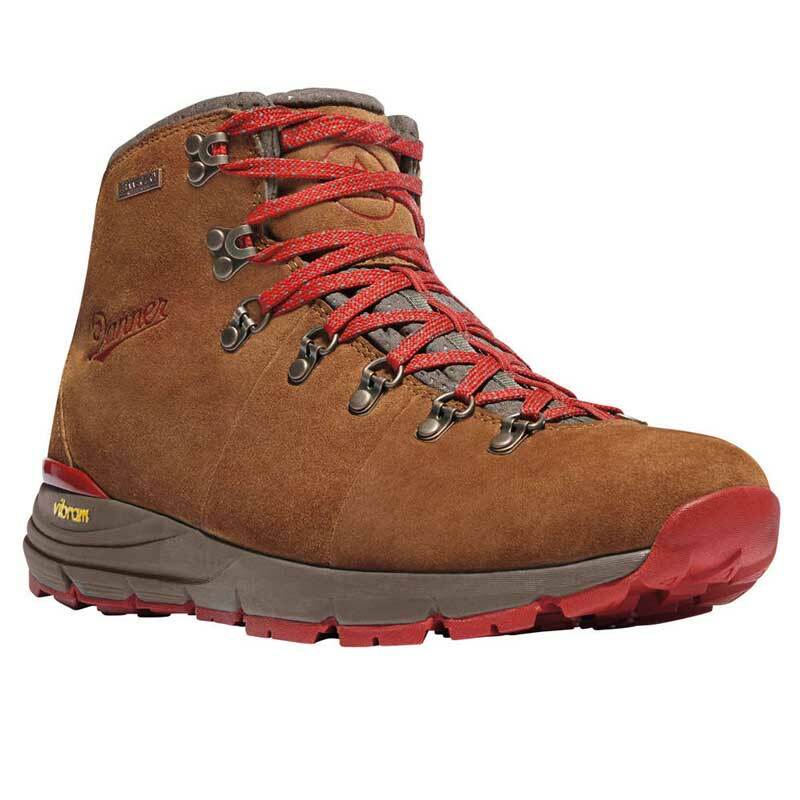 The Mountain 600 comes with the Danner OrthoLite® footbed, a very supportive insole that stabilizes the arch and protects high-impact zones. The Mountian 600 also features the all-new Vibram® SPE midsole which enhances rebound, comfort, and support under your foot. It's created with a unique co-polymer blend of natural and synthetic rubber paired with EVA. Finally the Mountain 600 is finished with a Vibram® Fuga outsole that has self-adapting lugs and MegaGrip compound for superior grip on both wet and dry surfaces. Be prepared wherever the trail may take you in the Danner Mountain 600 hikers. Oboz was founded in 2007 by a group of people who used to work for big-brand-footwear, who decided to come together to found a shoe company built on one principle: True to the Trail. This philosophy guides both the Oboz business ethics and shoe design process. The company's technology is inspired by common sense and experience. In addition to quality technology, with every pair of Oboz shoes bought, the company plants a tree in partnership with Trees for the Future.